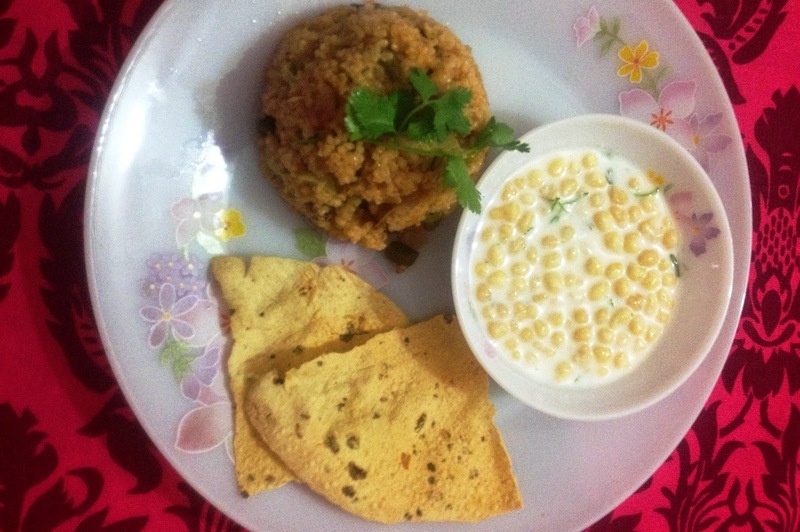 Veggie Cracked wheat or Daliya is a very light food. 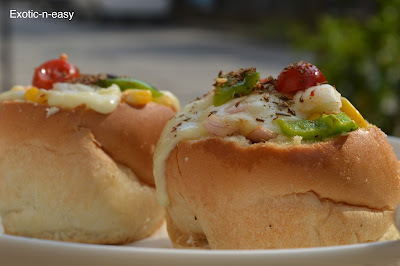 good for health easy to make. It is a complete meal. I add lots and lots of vegetable to make it more nutritious. Dry roast cracked wheat or daliya for 5 min and keep aside. Now take a pressure cooker add 1 table spoon cooking oil to it. As the oil is hot put cumin seeds, ginger and onion to it. once the onion turns translucent add Tomato & green chilly to it. 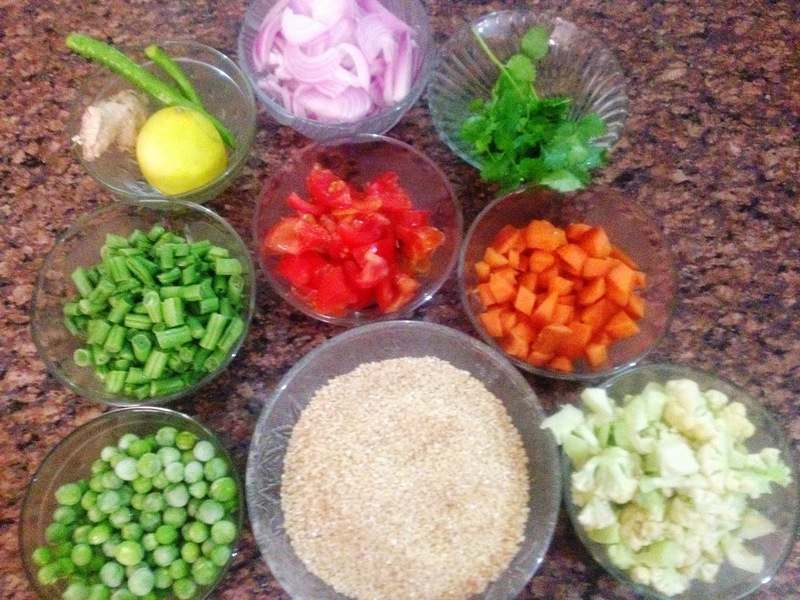 Add green peas, carrot, beans, cauliflower, salt & red chilly saute all the vegetable nicely. Now add cracked wheat/ daliya . Once you get a nice aroma of roasted daliya add 2&1/2 cup of water & 1 tea spoon of lemon juice. Close the lid of pressure cooker and wait for 1 whistle.